The U.S. Marine Corps is seriously considering the prospect of a conflict with Russia in Eastern Europe and dedicating more resources to its Marine Expeditionary Force headquarters, Military Times reported Tuesday. A Marine Expeditionary Force (MEF) is the largest type of Marine combat force and can include up to 25,000 Marines. In recent years, the conflicts the U.S. has been involved in have seen the U.S. Marine Corps focus its warfighting capabilities on smaller units, like the Marine Expeditionary Unit or Marine Expeditionary Brigade. As tensions have risen with Russia, however, the Marines have seen the need to focus on prepping a much larger force. "The MEF command element will have to be ready to support a warfighting effort in Europe," said Lt. Gen. Robert Hedelund, commanding general of North Carolina-based II Marine Expeditionary Force. The U.S. Marines have ramped up their presence in Europe in the past few years, especially after Russia's annexation of the Crimea. In March, hundreds of U.S. Marines conducted drills with Romanian troops on the Black Sea coast. This summer, the U.S. announced that some 330 Marines stationed in Norway will stay there until the end of 2018, twice as long as they were originally supposed to be there. 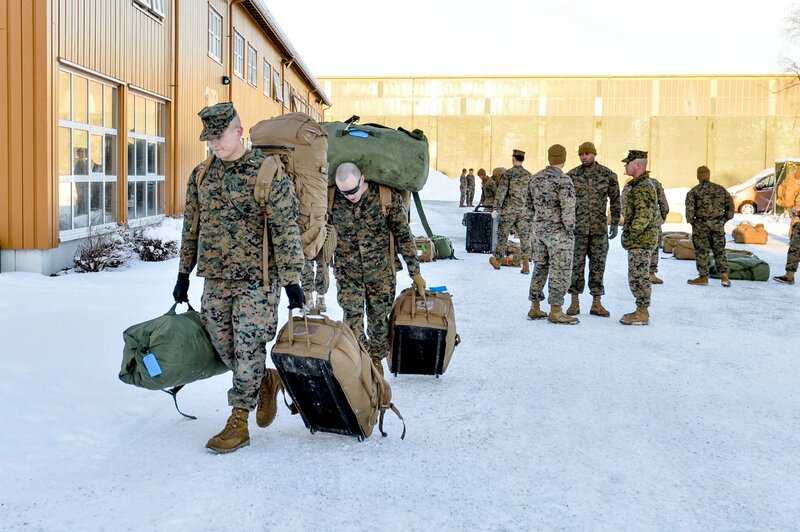 The Marines, who were sent to Norway in January, represent the first foreign force to be stationed in the Scandinavian country (also a NATO member) since the end of World War II. "We consider that this step contradicts Norwegian policy of not deploying foreign military bases in the country in times of peace," the Russian embassy wrote in a statement at the time. Washington's relationship with Russia has been deteriorating over the past several years as the Kremlin has taken aggressive actions in Ukraine and allied itself with foes of the U.S. in the Syria conflict. These tensions were compounded by Russia's interference in the 2016 U.S. presidential election. Some have contended the current state of affairs represents a new Cold War.